This file explains the modules the project is made of, its versions, its dependencies and how they work with each other. This file is very sensitive to manual edits of spaces and indentations. 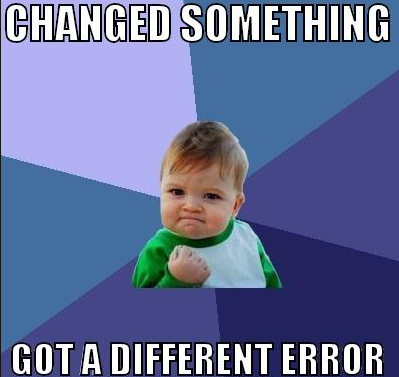 Be careful if you are manipulating it with the code editor. I suggest you use the graphical mode if you need to modify it. package.json – this file has the configuration for what libraries are needed and their specific versions to be used within the project and any dependencies between the libraries used. xs-app.json – this file contains what the good old .xsaccess file from XSC had. 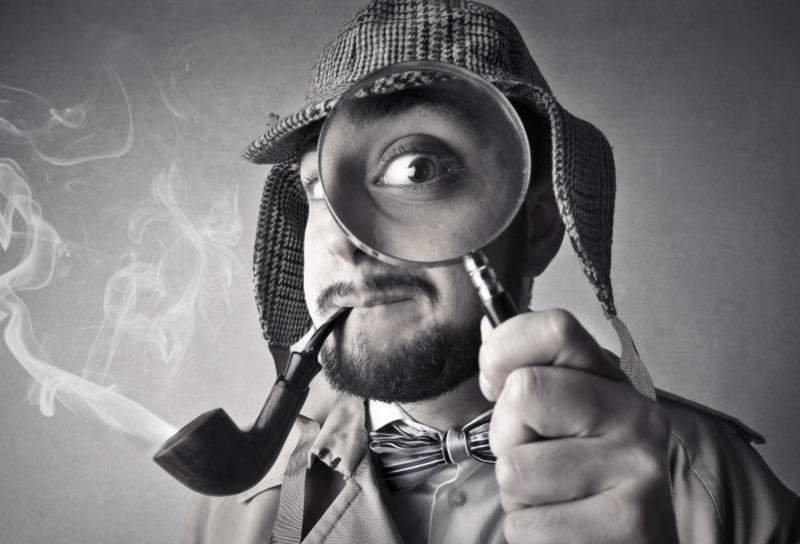 It had routes, welcome file, and authentication methods amongst other things. 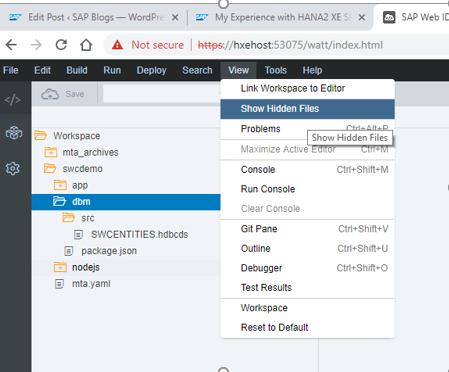 manifest.json àit has metadata about the project, such as name, version, sap.app, sap.ui, and sap.ui5 library versions. Component.js file à this file is used to extend the base component, set routes, and initialize any app models. 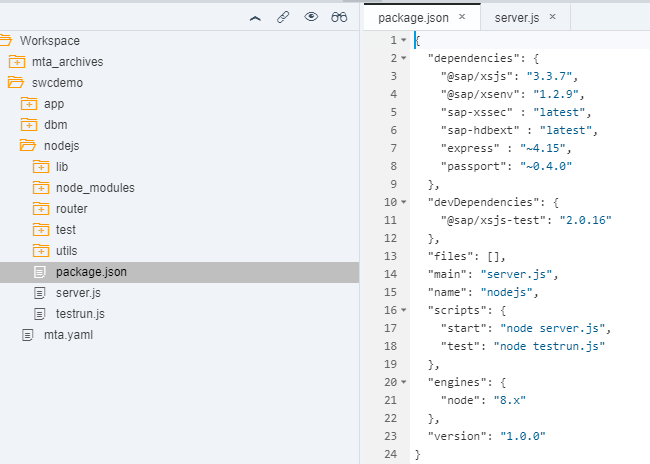 this module contains a package.json file which is different from that of sapui5 module. The package file acts as a config entry point for the various modules. I bet you this same file will show up in the next module*** again, it has name, dependencies, scripts. 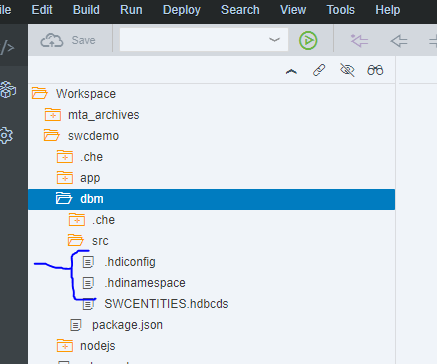 doing so, will reveal 2 files: .hdiconfig – which contains configuration about plugins used in the db module, and .hdinamespace which contains the hdi namespace that we specified when we created the module at the beginning of the project. that rebuilding the module will install the dependencies and they will then show in the node_modules folder. Further, each node_modules child folder will contain a read me file (with instructions of how to use it), a package file (with further dependencies and other metadata for that module) and an index.js file (for its modular executoin) at least. package.json –> same reason as the other files, but this one belongs to the nodejs module and it is used to specify which version of the libraries used are needed to download. Server.js –> default file to create the entry point of the nodejs module. Thank you again for reading this blog. I hope you have learned a couple things about the set up of some of the projects and specifically this project/demo. Please share your experiences.